Check out the latest IAIA enews, sent on 18 March 2016. Banquet tickets: We are quickly nearing maximum capacity for the banquet on 13 May. If you are interested in attending and have not yet purchased your ticket, please do so immediately! You can purchase tickets by logging in to the online store or by contacting info@iaia.org. Registration Closes 18 April: Registrations for IAIA16 will be accepted through Monday, 18 April. On-site registrations will not be accepted. 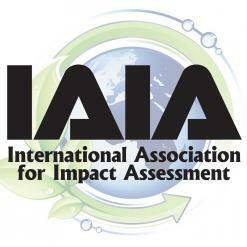 Last month’s guest post by Board member Elsa Joao sparked lots of conversation in IAIAConnect! Members, share your views now by logging in to IAIAConnect and visiting the Members group. While there, you’ll also find an interesting conversation happening about EIAs in China. Not yet a member? Join IAIA now to take part in these discussions (and more!). Center for Research in Corporate Governance & Financial Regulation (Boğazici University; Istanbul, Turkey): The Center for Research in Corporate Governance and Financial Regulation (CCG) was established by Boğaziçi University to contribute to the research that augments the legal/regulatory content of corporate governance models with more economic/financial content. The Center emphasizes designing economic models of corporate governance that go beyond mere fiduciary rules and that try to link rational applications of good governance leading to increased economic value for corporations in the long run. California Association of Environmental Professionals (California AEP): California AEP was founded in 1974 as a non-profit association of public and private sector professionals with a common interest in serving the principles underlying EIA. The primary purposes of the association are to establish and operate a professional association of persons involved in and committed to improving the processing and implementation of environmental assessment, analysis, public disclosure, and reporting. The 2016 AEP Conference, “Cities in Transition,” will be held in San Diego, USA, from 3-6 April 2016. Session topics will explore the transitions experienced by many evolving cities in California with a focus on local, regional, state, and national environmental issues. IAIA looks forward to collaborating with CCG Boğazici University and the California AEP! For more information on all of IAIA’s associated organizations, visit http://www.iaia.org/associated-organizations.php.